Just a quick post to let you know that WizzAir has 20% their flights only for today! Which makes some of their flights to Dubai very enticing. Some flights in June are only from £71 return and if you check for some other dates it is as low as £58. Flights from the UK start from £29 return. 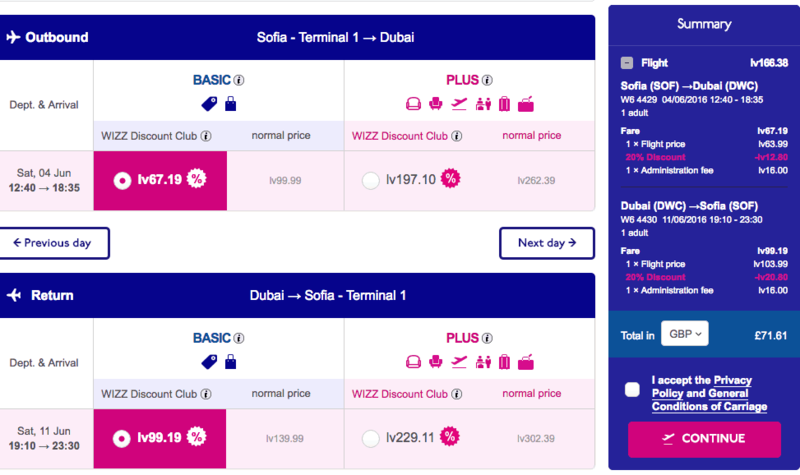 Also note that WizzAir flies from Budapest, Bucharest and Sofia to Dubai. Considering that it is Ramadan in June you can spend few days in the UAE for much cheaper. My favourite place must be Abu Dhabi and Sheikh Zayed Mosque. If you are looking for inspiration then check out my top 5 countries to spend Ramadan and Eid this year. The flights are only available with their WizzAir club discount which costs £20 but you are definitely making your money back after only 1 flight. You can book on the WizzAir website here. If you are looking for some more inspiration on how to fly for cheap using low-cost airlines then check this guide here.